Regular - Custom Order, Call for Other Size Options 800-397-5899 - SHIPS FREE! Regular 16W x 16H Inch - SHIPS FREE! Regular 18W x 16H Inch - SHIPS FREE! Regular 20W x 16H Inch - SHIPS FREE! TALL - Custom Order, Call for Size Options 800-397-5899 - SHIPS FREE! TALL 16W x 20H Inch - SHIPS FREE! TALL 20W x 20H Inch - SHIPS FREE! Matrx InTouch PCS Positioning Back Support for wheelchairs is manufactured by Invacare. The Matrx InTouch PCS Wheelchair Positioning Back Support is designed for both manual and power chair users, for upright seating systems, for tilt chairs and recline systems. 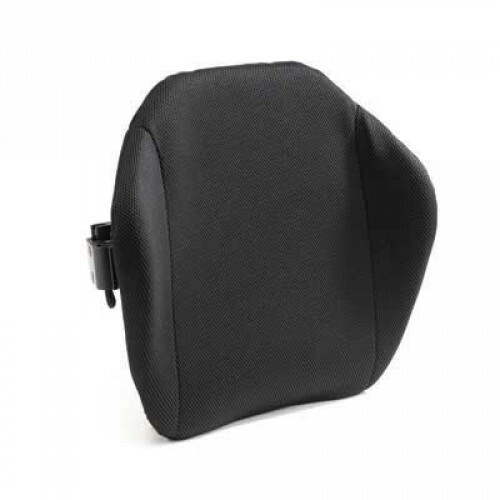 The PCS Back Support Wheelchair Cushion features a lightweight back designed with several features including scapular cutouts, sacral support, sacral contours, 3" of lateral contour depth, height/back angle/depth adjustability and optional accessories, which work in combination to provide Positioning, Comfort and Stability. 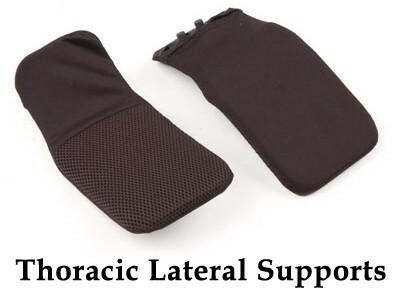 Scapular cutouts on the Matrx InTouch PCS Positioning Back Support facilitate upright positioning with trunk extension without interfering with upper extremity range of motion. The Matrx InTouch PCS Positioning Back Support Optional Thoracic Lateral Supports and Pelvic Stabilizers provide additional positioning for the trunk and pelvis to increase support. 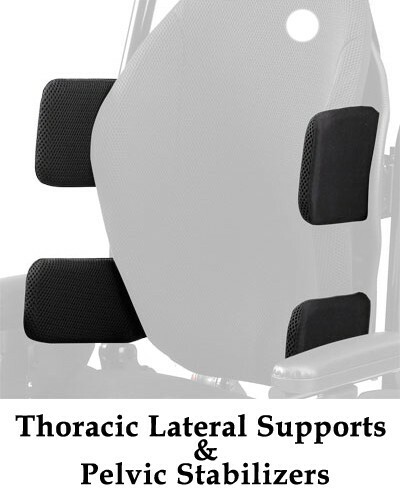 These Invacare Wheelchair Support Cushions are adjustable in height and width and take the place of the clinician's hands in keeping the user in the best position. Call 800-397-5899 for custom sizes 14" wide all the way up to 26" wide. Scapular cutouts: Facilitates upright positioning with trunk extension without interfering with upper extremity function. By not limiting upper extremity range of motion, overall functionality is maximized. proximal stability required for function. upright posture with trunk extension. Sacral contours: Tapered contours at the sacral portion of the back allow full contact of the back shell against the user without interfering with hip placement in the seating system. One tool assembly: Only one tool needed for all installations, adjustments and accessories. Single-point mounting hardware: Works with dual-point strength to create stability and securely mounts between canes without any unwanted play, while allowing height, depth and back angle adjustment. Designed to mount onto back canes with an outside diameter of 1" or 7/8". and posterior pelvic tilt by opening up seat to back angle. seating surface for optimal pressure redistribution. Height adjustable hardware: Accommodates user’s positioning requirements in the wheelchair. supports when used with tilt and/or recline. 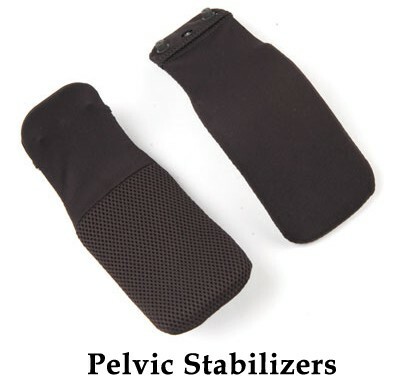 1" soft foam: Provides optimal comfort with pressure redistribution. Spacer fabric: Allows for improved airflow between the user and back for optimal management of heat and moisture to promote better skin integrity. Lightweight positioning back with three inches of lateral contour depth for lateral trunk support to facilitate centering and postural control. Spacer Fabric upholstery for improved airflow between the user and the back for optimal management of heat and moisture to promote better skin integrity. New single point mounting hardware that securely mounts between the canes without any unwanted play while allowing height, depth and back angle adjustments. Lightweight to reduce overall weight of the frame and minimize manual mobility, thereby improving efficiency with propulsion. Headrest can be mounted directly on the back and easily accommodates standard headrest mounting hardware. 14” to 21” width supports up to 300 lbs. 22” to 24” widths supports up to 500 lbs.